We should be grateful to Italians for the manifestation of the Renaissance in Lithuania. And even more grateful to Duchess of Milan Bona Sforza. Namely this woman, who married Lithuanian Grand Duke and Polish Sovereign Sigismund the Old, brought Italian architects, painters and musicians to Lithuania and Poland. She also educated her son Sigismund Augustus in the spirit of the Renaissance. Italian fashion trends were gradually taken over from Bona Sforza by Lithuanian noblemen, in particular the famous Radziwiłł (Radvila) family. They started building churches and houses in the Renaissance style. They had an example to follow – Bona Sforza and Sigismund Augustus had reconstructed Vilnius Lower Castle in this style. 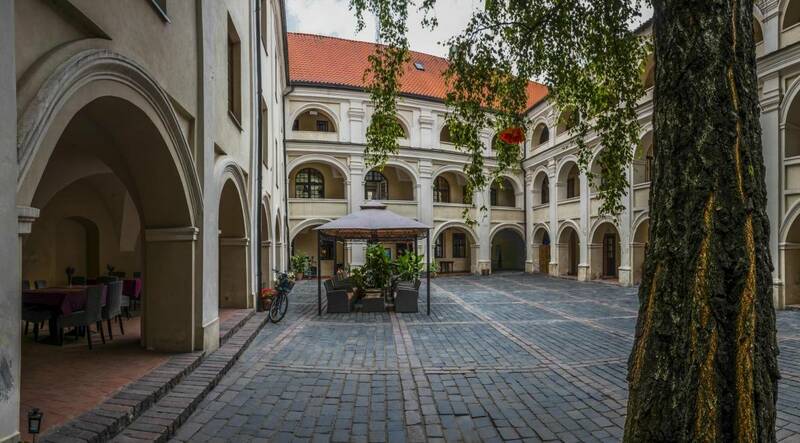 The Alumnatas Courtyard is part of the ensemble of Vilnius University. It was the religious and political institution of the popes, where the students of the Uniate Priest Seminary lived and studied. Open arcades and the arcs of loggias hide a great number of stories. Here the Italian Renaissance is so beautifully combined with local tradition and the architectural style typical of Lithuania! The task of Lithuanian Grand Duke Aleksandras to build a wall around Vilnius and the gate to the city had been undertaken by Mikalojus Radvila the Old. After a while Medininkai Gate was renamed as the Gate of Dawn – the name could be associated with the edge of the city that had been called ‘Sharp’ at that time or with the eastern orientation where the dawn breaks. 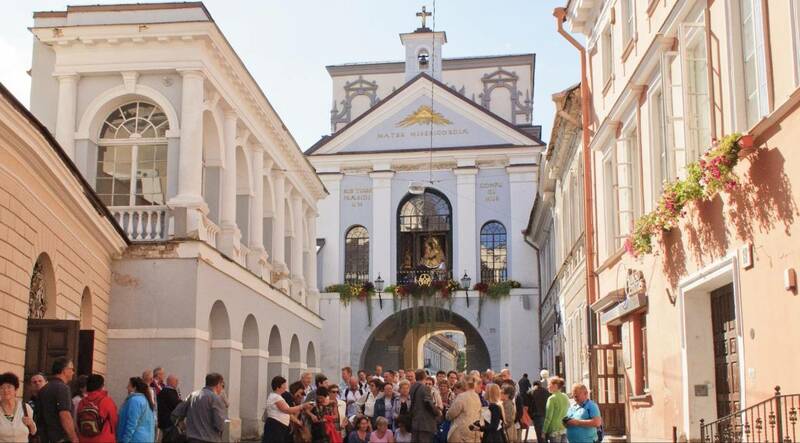 Crowds of worshippers pass through the centuries old gate to pray at the presumably miraculous Painting of the Blessed Virgin Mary, Mother of Mercy, which is one of the most famous Renaissance paintings in Lithuania, in the Chapel of the Gate of Dawn. 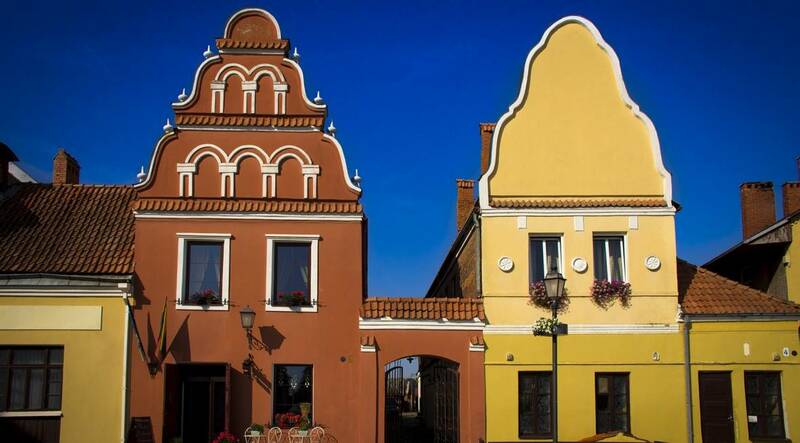 The most authentic building of Kėdainiai Old Town got its name back in the 17th–18th centuries when the Scottish community established in the town. They had been allured to Lithuania by nobleman Kristupas Radvila who had issued a charter and invited everybody to come to the town. Thus Scots came, built houses and opened shops. Today the House of Scottish Merchants adorns the Old Town of Kėdainiai. The Radziwiłł (Radvila) family, belonging to the Reformed Church, patronized the Scottish community establishing in Kėdainiai in the 17th–18th centuries. The newcomers rallied around the Reformed Church. 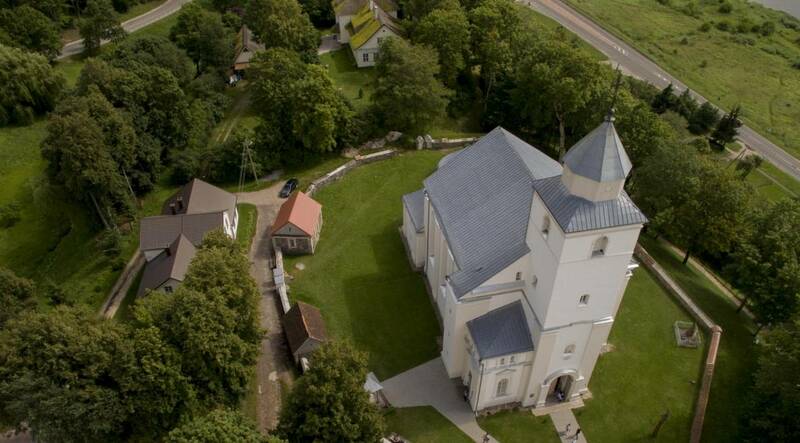 The majestic Renaissance style Evangelical Reformed Church was funded by Kristupas Radvila II in the 17th century. Today the cellar of the sanctuary is the place for the mausoleum of the Radziwiłł family – the only restored tomb of noblemen of the 17th century Grand Duchy of Lithuania in present-day Lithuania. The most prominent work of Renaissance Mannerism in Lithuanian architecture. 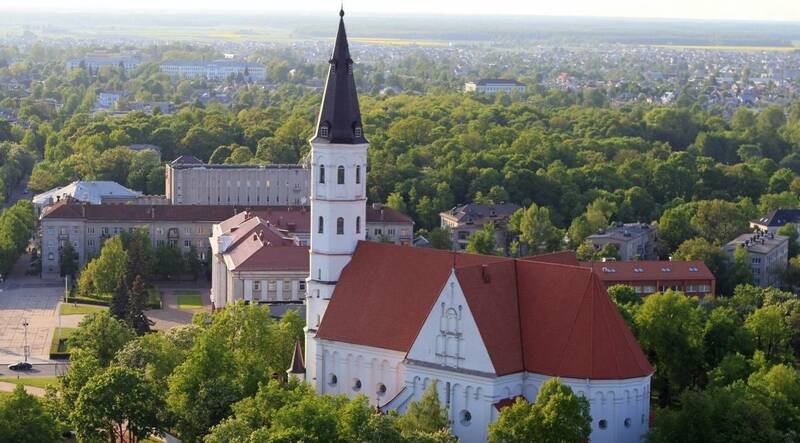 The tower of the church rising above the city is seen from every point of entry to Šiauliai. The defensive elements of the church are the only of this kind in Lithuanian architecture. It is both the Renaissance tradition and practical necessity – the wealth of the church lured roadside robbers. This church today is the beginning of the pilgrim way to the Hill of Crosses. 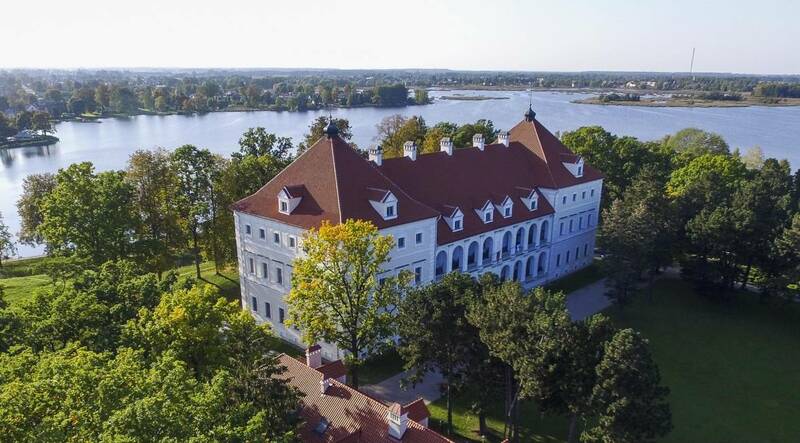 A strong and modern castle built by Duke Kristupas Radvila in Biržai served the purpose of defending the northern border of Lithuania. The fortress was heavily destroyed by Swedes during the wars of the 17th century; the Radziwiłł (Radvila) family began to rebuild it, but finally the castle was taken by Swedes again. They burst the castle while retreating. The palace restored in late 20th century today houses Biržai Regional Museum where educational programmes are also organised. 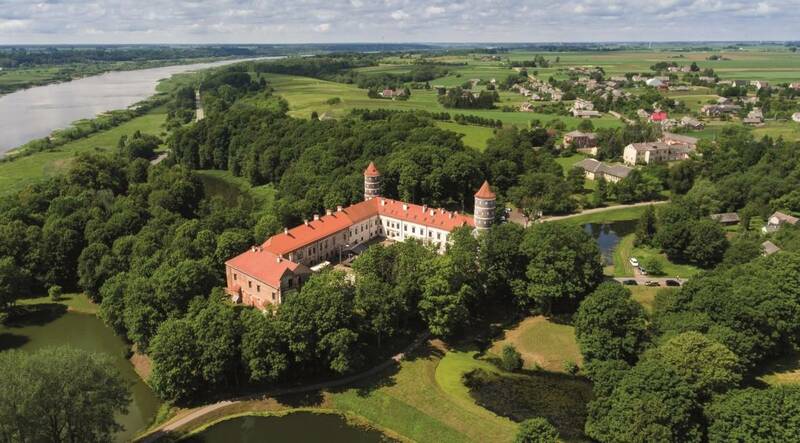 It is one of the most authentic Lithuanian castles. Passing time has little changed its architecture, and the project of the then famous architect Peter Nonhart is considered to be perfect. Reserved and at the same time majestic shapes witness the ambitions and majesty of the noble Eperjesz family from Hungary, which shrank with years. The castle was reconstructed by its new owner Antanas Gelgaudas, the standard-bearer of the Grand Duchy of Lithuania. Today the castle organises art exhibitions and theatricalised performances. It is one of the oldest Catholic temples in Samogitia. It was burned down during the Samogitian uprising yet rebuilt by Grand Duke of Lithuania Vytautas. 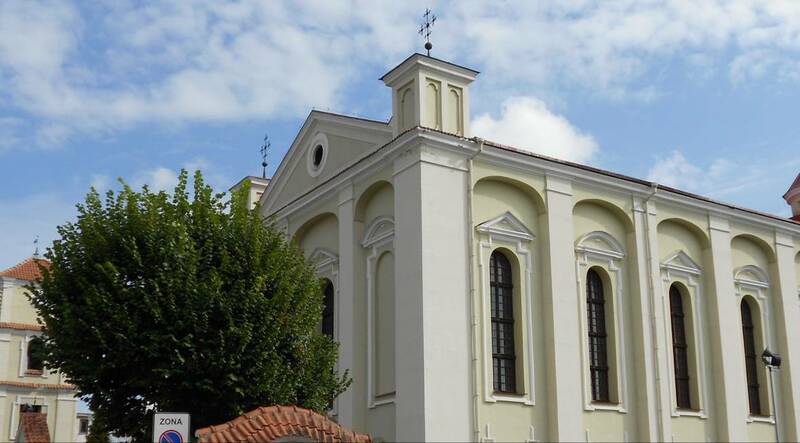 In the 17th century the church was reconstructed by Albertas Stanislovas Radvila who, like his family, worshipped the shapes of Renaissance architecture. Today the tall square-shaped tower of the church overlooks the panorama of the River Nemunas and the town of Veliuona, which is worth the painter’s brush. The tower stores a unique collection of the canonicals and church books.